Edward Bury was born in Salford in 1794, son of a successful timber merchant. He was educated at Chester school and at an early age showed an interest and aptitude for mechanics. In 1823 he was a partner in the Gregson and Bury steam sawmill at Toxteth Park, Liverpool. In 1826 he set himself up as an iron founder and engineeer. with a new office and works at Tabley Street, quite near the new goods terminus of the Liverpool and Manchester Railway. 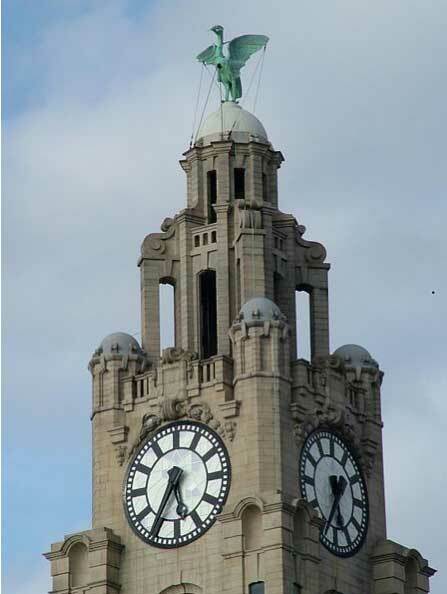 A short time later he established the Clarence Foundry and Steam Engine Works near to Liverpool’s Clarence Dock. The works eventually covered three acres and employed over 1,000 men. 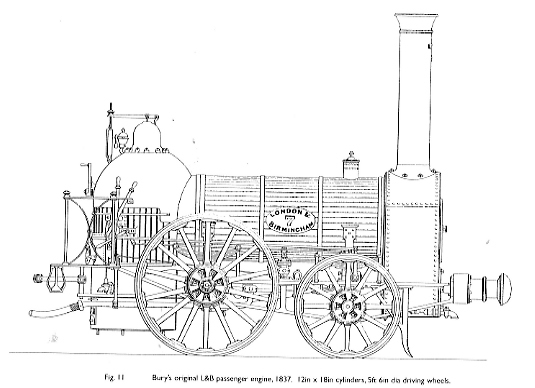 Bury entered locomotive design when it was in its infancy, and although he did not complete an engine early enough to compete in the famous Rainhill trials, he did emerge with a locomotive which was an advanced design for its day. 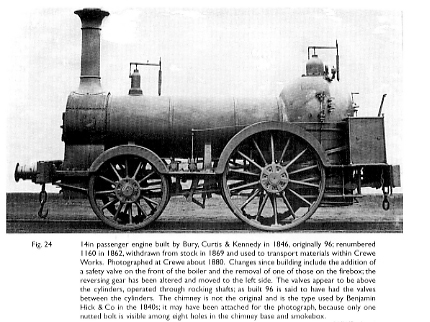 In 1836 the directors of the London and Birmingham Railway engaged Bury as its locomotive superintendent and he set forth the standard specifications for the building of the required locomotives by a number of firms across the country. When the Wolverton shops were completed he was appointed Locomotive Superintendent at an annual salary of £1,000. He rented Great Linford Rectory for those periods when he was in residence, although according to Hugh Stowell Brown he was not much seen at Wolverton. 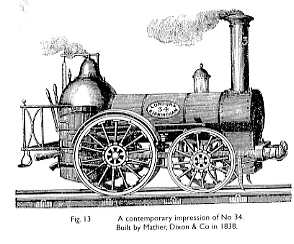 Bury specified the design for all the locomotives for the early London & Birmingham Railway, which were built by a number of firms across the country, including his own. This led to some perceived conflict of interest in this dual role as a manufacturer of locomotives and as a railway manager. However, although there was criticism it appears that the arrangement continued and Bury was paid a very handsome annual salary that rose to £1,500. The first engines were built at a cost of £1,050 and it was estimated that the cost of operation would be 1/4d per passenger per mile, Thus the cost of taking a passenger from London to Wolverton was 1 shilling. The fares offered plenty of profit. 1st class – 2s 6d; 2nd. class closed carriage – 2s and 2nd class open carriage – 1s 6d. The average speed of these early trains was 22 1/2 mph – glacially slow by today’s standards but compared to stagecoach speeds of 7 mph, a threefold increase. Bury continued in his role throughout the life of the London and Birmingham Railway, but shortly after the amalgamation with the Grand Junction Railway to form the London and North Western Railway he became less at ease with the new regime and resigned in 1846. He was replaced at Wolverton by James Edwatrd McConnell. In 1848 he became Locomotive Suoerintendent of the GNR and in the following year General Manager. However, he left in 1850 after complaints (apparently unfounded) that he was giving preference to firms with which he was associated. While he was with the GNR he laid plans for the workshops at Doncaster. His firm also lost substantially when the Russian Government defaulted on payment for the swing bridge over the River Neva. Bury set up a steel works in Sheffield and in 1855 another with his son, William Bury. He then retired to the lake District but died in 1858. Writers of railway history have not been kind to Edward Bury. He has been derided as a builder of tiny old-fashioned engines, obstructively stuck in the past while greater men were pushing locomotive development forward. He has been denigrated by authors from Stretton onwards. He was described by Ahrons as “endowed richly with the commercial instinct” and by a more recent writer as “above all a business man” but in reality it seems that the money-making instinct was the very thing Bury lacked. His first concern was always in running the railway efficiently; if he placed orders with his own firm it was because he knew he could rely on his own products. Kennedy was later to complain that if he had only had a good commercial man as partner he would have carried on with the Clarence Foundry. 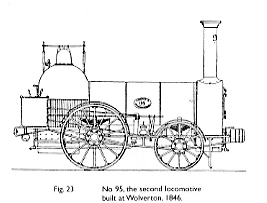 At first the L&B did not carry third-class passengers because the directors could see no profit in it, but Bury argued that they had a duty to do so, because “the railways have, or will destroy all other means of communication” including the stage wagons and carriers’ carts used by the poor. He spoke to the Board repeatedly about this, until eventually one daily slow train was put on to carry third-class passengers – albeit at the fairly expensive fare of 1 1/2d a mile – in October 1840. Bury’s legacy, from the railway workshops at Wolverton and Doncaster down to such details as the net parcel rack and the varnished teak livery, undoubtedly includes many improvements in locomotive design which have been credited to others. A rather reserved, cultured and speculative product of the eighteenth century, he was very unlike the generation of locomotive superintendents which succeeded him. His was no ragsto-riches story and was therefore of no interest to Samuel (Self-help) Smiles who wrote so many popular biographies of engineers; it was left to Bury’s widow to publish a short memoir, which few could have seen. Now Edward Bury can be recognised as a great railway organiser, as well as one of the greatest locomotive pioneers. 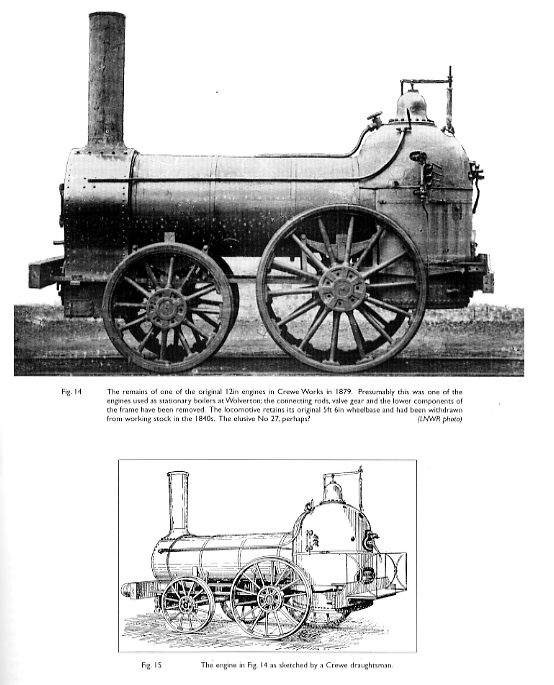 It was not for nothing that he was elected a Fellow of the Royal Society in 1844, the only locomotive engineer so honoured until Sir William Stanier a century later. 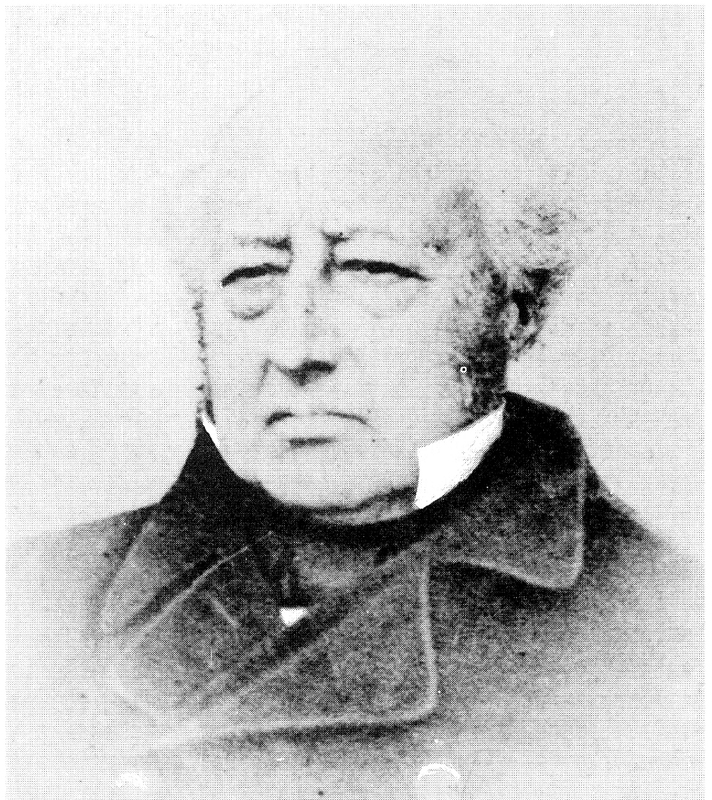 His widow believed Bury had “devoted the best energies of his life to the success of the London & Birmingham Railway”.